RESULTS = You achieve your goals. If you truly want to take your workout/physique/gains to the next level then you need to get serious and switch out your water jug for serious intra-workout nutrition. Intra-workout refers to the time during your lifting session. Sure you add carbs pre-workout to fuel your body for energy. Your post workout protein intake is giving you the muscle gains you are striving for, however, your water jug is weighing you down during your workout. 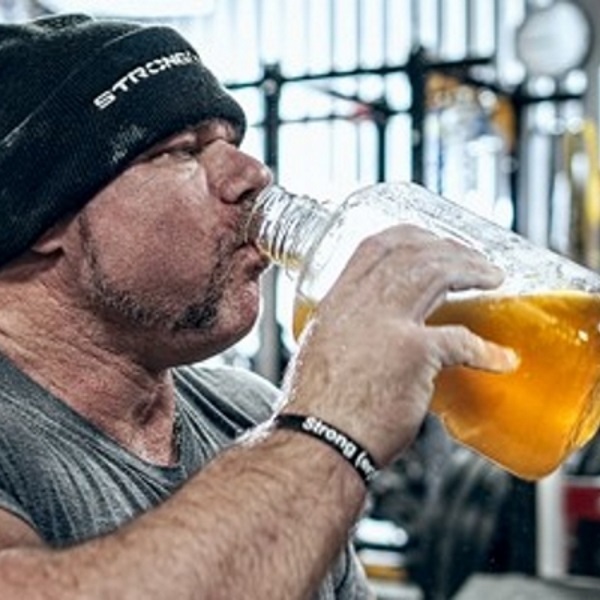 Sure you are achieving your goals, but what if you rounded out the workout with some serious intra-workout nutrition/supplementation to breakthrough to the next level? Exercise is unique in that it changes the way the body responds to nutrients. This is why resistance training is such a powerful tool for reshaping your physique. Because of this, serious lifters started playing around with adding different nutrients and compounds during their weight training session. What they found was that the right blend of nutrients can have a positive effect on their progress and physique. Where does energy come from during exercise? Generally, it will depend on the type, duration and intensity of the exercise. ATP is our immediate fuel that supplies muscle with the energy to contract. Unfortunately, the amount of ATP that we have within our muscles isn’t enough to keep up with the demands of repeated contraction. In order to get more ATP to keep up with your workout, the body has a couple of other pathways to help; aerobic (with oxygen) and anaerobic (without oxygen). The aerobic system can provide ATP but it’s a slow process. The anaerobic system on the other hand, quickly produces energy during short duration, high intense activity. Lifting weights is primarily anaerobic, whereas long distance running would be aerobic. However, the aerobic system isn’t only being beneficial for endurance exercise. Believe it or not, in between your sets of heavy lifting, the aerobic system is working to help you recover. So don’t be afraid to throw some cardio into your routine. Enough of the boring stuff. How does this help you get jacked? Your body is using up a ton of energy during your workout and if not properly fueled or hydrated it can lead to decreased performance. I’m sure you have had some workouts where you have great energy with an incredible pump while others you feel flat and weak. This is not a coincidence. Intra-Workout nutrition plays a role here but so does your fluid and electrolyte balance. Proper hydration is actually anabolic. There’s more to the “pump” than just blood flow. When your muscle cells are dehydrated there is a strong catabolic effect which you’d like to avoid. The workout itself is catabolic enough as energy and muscle are being broken down. By staying hydrated and including some potent amino acids you can tip the anabolic-catabolic seesaw back towards anabolism (growth). Intra-workout nutrition is a no brainer for serious weightlifters. Now it’s time to decide exactly what you want intra-workout nutrition to do for you. Fat loss? More muscle? Improved recovery? If you are after all three, there isn’t much room for error. If you are focused on maximum muscle gain or having the fuel to undergo long, strenuous workout sessions, intra-workout carbohydrates are beneficial. When trying to gain mass, carbohydrates are your friend. The more you can include, while still keeping body fat in check, the better. Intra-workout carbs give you an opportunity to increase your daily carbohydrate intake at a time where they are very unlikely to be stored as fat. In terms of performance, intra-workout carbohydrates can serve as a rapid source of energy and help to keep your higher volume sessions productive. Lifting weights is mainly anaerobic, which uses the breakdown of carbohydrates for fuel (glycolysis). Keeping enough of this preferred fuel source around will make sure strength stays elevated. The type of carbohydrate is important because you want a fast-acting and easily absorbed source. If it requires too much digestion, a lot of blood flow will be diverted away from working muscles and to the stomach. A popular choice is an intra-workout that includes cyclic-dextrin. Cyclic Dextrin is a great simple carbohydrate source that allows for a great load of carbohydrates to be put into the system, yet causes very little in the way of an insulin reaction. Insulin is very anabolic and useful, but at the wrong time, it can make you crash if it happens at the wrong time. Keep in mind, if you are having pre-workout and intra-workout carbohydrates, you do not need to rush into having carbs post-workout. Your body should have more than enough stored carbohydrates (glycogen) and at that point you will only need quality protein. There are a lot of so called absolutes when it comes to the world of nutrition. The main purpose of an intra-workout is to capitalize on a time where muscle cells are sensitive and protein anabolism can be increased. If you are a hard-gainer or have trouble maintaining stamina throughout your session, an intra-workout will take your workouts up a notch. By staying hydrated and providing the right muscle building nutrients, you can supercharge your gains and change the course of your workout.